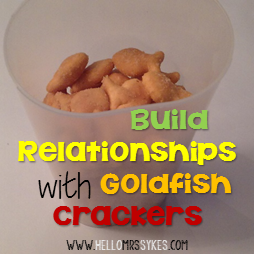 Establish Positive Relationships with Goldfish Crackers! Today I want to share a trick for you to establish positive relationships with your students. Establish a positive connection with your students to help them engage and feel passionate about the importance of the subject matter. You'll need about 30 seconds, some Goldfish crackers, and a clear plastic container with a tight lid. I like to use empty Crystal Light canisters that I wash out at home. Each student gets 3 goldfish crackers at the end of our class. If they worked really hard, add a fist bump, too! This ensures I give undivided attention to each student for several seconds before they leave my room. What do crackers have to do with building relationships? 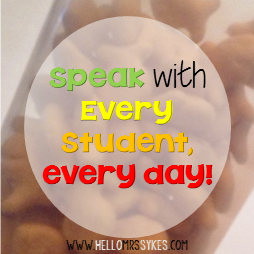 The crackers are simply a way to remind me to slow down and speak with every student, every day! As a literacy specialist at a year-round school, I have 50+ students on my roster at different point of the school day. Stopping to chat with each student by name goes a long way in building a positive relationship with your students. Remember to check for gluten and other food allergies! If you enjoyed this bright idea, please consider joining me on Facebook, Teachers pay Teachers or view my other Bright Ideas posts for more great ideas! 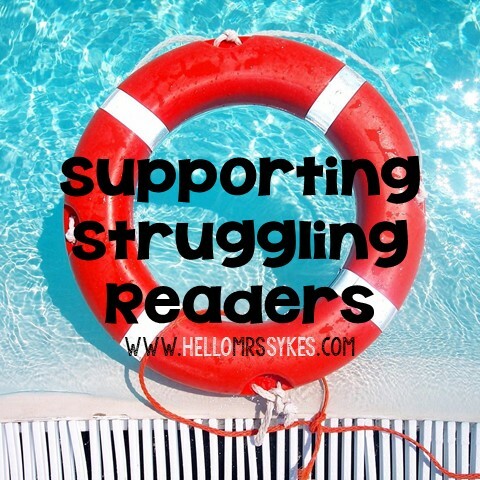 For more bright ideas from a variety of other bloggers, please browse through the link-up below and choose a topic/grade level that interests you.